In London to visit my lovely friend Immy and I had booked a hotel online, which is always a bit of a gamble I guess. Turns out that it’s right across the road from the grounds (well, the back entrance) of Buckingham Palace, which is not a bad place to be. More photos of London wanders will follow, but this one is about my hotel room. 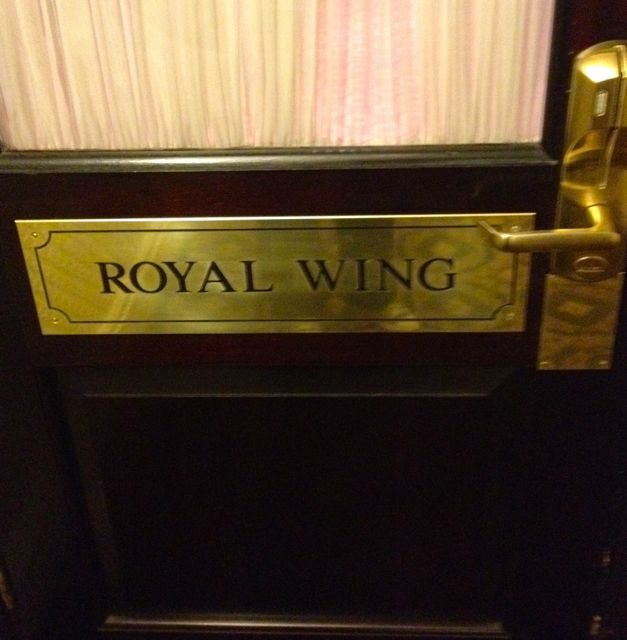 On arrival, I was told that I’d been upgraded to a fancy ‘Royal Suite’…which, to be honest, was kind of wasted on me as I’m not a mad fan of the monarchy. But, whatevs, an upgrade is an upgrade and the promise of an exclusive VIP section, with swipe card access – “a hotel within a hotel” – sounded like I would finally be recognised as the Princess that I am inside. 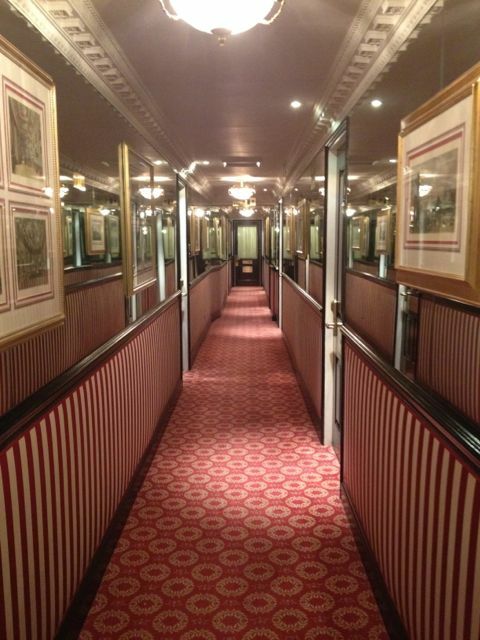 The Hallway was like something out of the Titanic. Contrasted nicely with my Converse and cargo pants, I think. 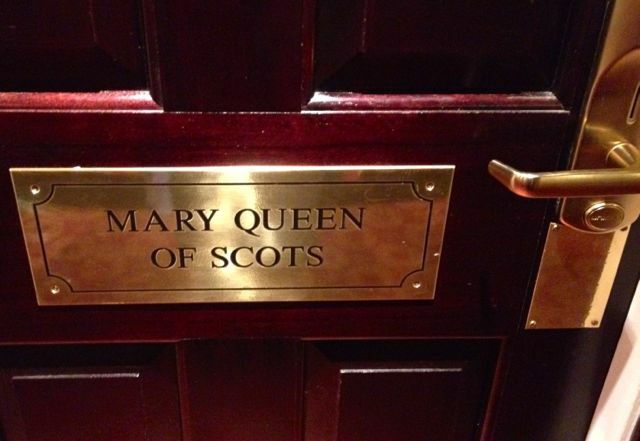 Passed by rooms for Queen Elizabeth 1, some Dukes and other peeps before arriving at Mary’s room. 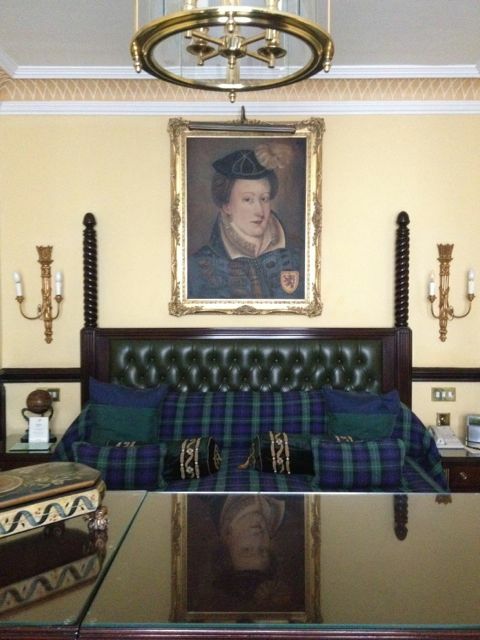 Too much tartan is never enough, right?